This afternoon saw the conclusion of Le Pesage or 'the show', the public scrutineering process that all cars and drivers must pass through before being permitted to compete in the Le Mans 24hr. 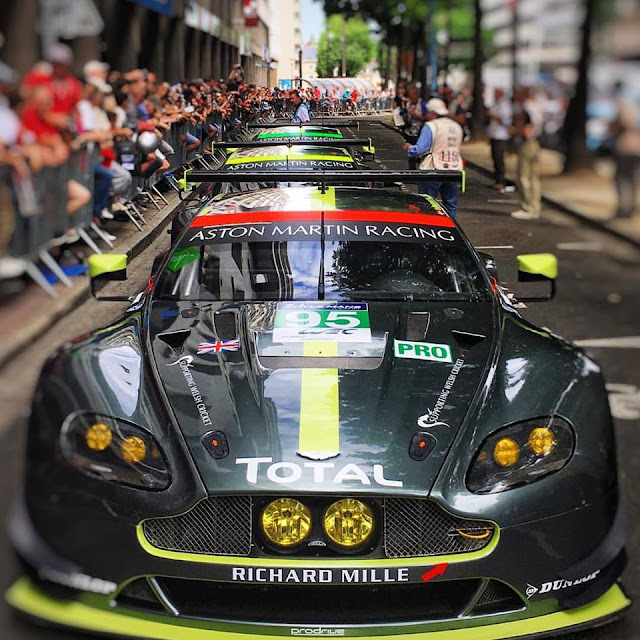 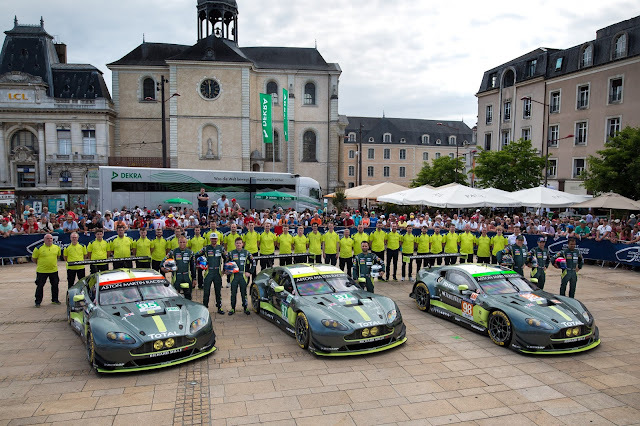 As ever, photographs coming out of the Place de la Republique in Le Mans town show huge crowds turn out to watch what is effectively the first event of race week. 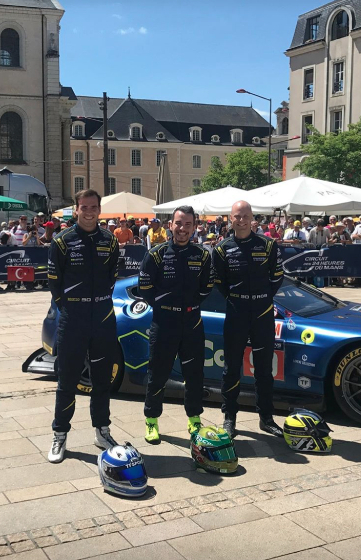 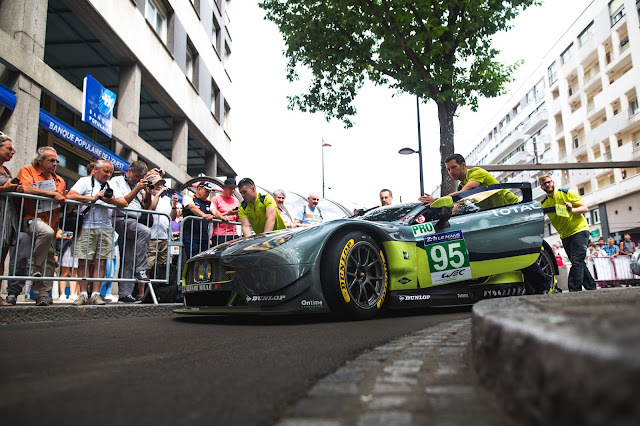 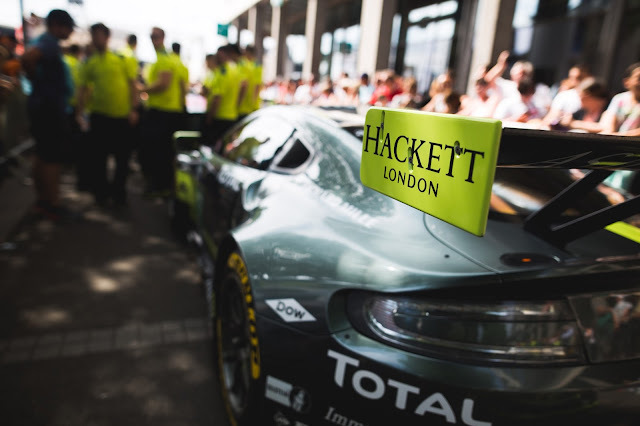 The three Aston Martin Racing (full season WEC) entered cars completed that process yesterday whilst the two cars from Beechdean AMR and TF Sport followed likewise this afternoon. 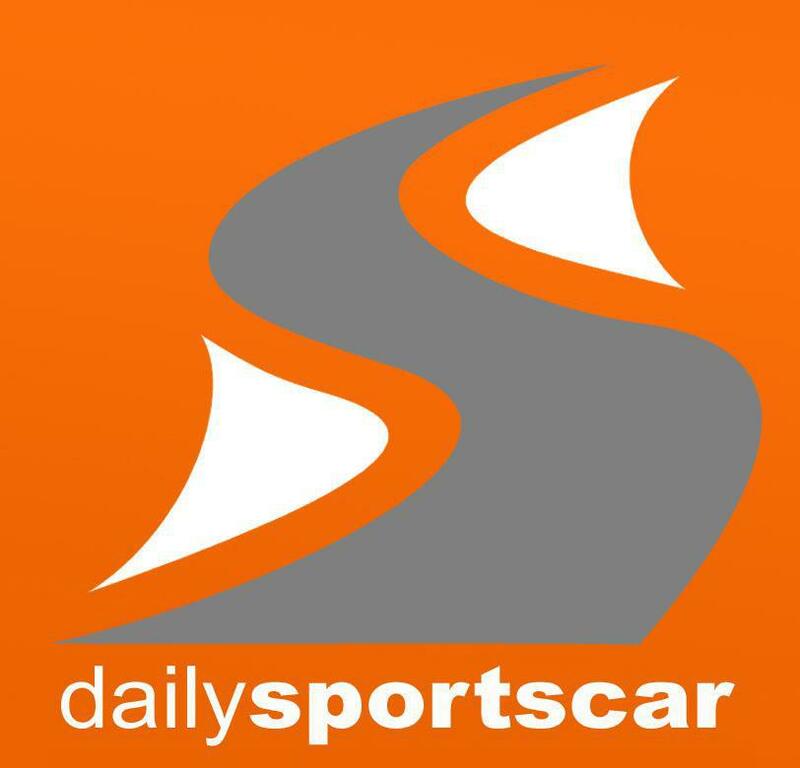 First track action starts Wednesday afternoon.